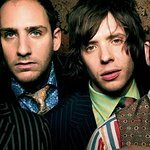 The Squier by Fender guitars used in OK Go's ‘Do What You Want’ music video are being sold off in support of the Fender Music Foundation. According the official Fender blog, Front Row, included on the auction block are a unique Stratocaster, Telecaster and P Bass, which were specifically designed for the video which was shot in a single room where every surface (and every prop, instrument, and even the performers that enter it) was covered in the same damask wallpaper pattern. A host of other rare and valuable pieces of musical memorabilia is also being sold off to support the efforts of the charity, including a signed Zakk Wylde guitar, a new signature model Fender Stratocaster autographed by Kenny Wayne Shepherd and a psychedelic Flying V whose design was inspired by the music of Jimi Hendrix. The Fender Music Foundation believes that music participation is an essential element in the fabric of an enduring society. Their mission is to have the benefits of making music available to everyone in the communities in which we serve, to promote its importance through education and media initiatives, and to provide financial and in-kind resources in collaboration with other organizations to achieve their common goal.